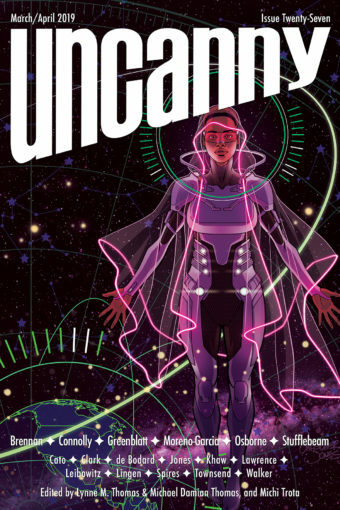 Uncanny Magazine Issue 23 Cover and Table of Contents! Cover Reveal for Jim C. Hines’s Terminal Uprising! Two Uncanny Stories Are Eugie Award Finalists! Uncanny, the Thomases, and Four Uncanny Stories Are Locus Award Finalists! Uncanny Magazine Issue 22 Cover and Table of Contents! Two Uncanny Magazine Stories Are Sturgeon Award Finalists!